Call us today to discuss all your needs and requirements! If your caravan needs repairing or servicing, we are the perfect choice. Covering Gloucester and surrounding areas. We provide you with a friendly, reliable and cost-effective service. Caravan repair experts that guarantee a comprehensive service. The team here at PGF Caravan Services recommend annual caravan servicing to keep on top of minor faults and to keep the condition of your caravan acceptable. The main annual caravan servicing that is available throughout is carried out by our expert mechanics and engineers, who use their years of experience to provide the finest quality results every time. The chassis checks cover all elements of safety and reliability including the hitch assembly, draw bar, chassis, corner steadies, wheels, brakes and how they whole caravan works as a whole. As well as functions we check the lubrication throughout the caravan fixtures, just like you would the oil in a car. We make sure your caravan is ready for the road no matter what so that you have peace of mind next time you plan on going away. 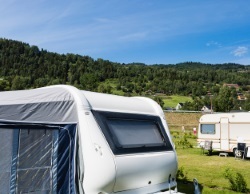 Wherever you are throughout does not matter, as all caravan servicing elements can be carried out at your home, pitching site or place of hibernation. A full annual service can help owners eliminate common issues that occur over time and prevent other issues arising, such as damp. To get in touch about caravan servicing for your caravan in , call 01452 553 288 or 07805 000 612. Covering Gloucester and surrounding areas, you can count on us to provide you with a friendly, reliable and cost-effective service. Call 07805 000 612. Whether your caravan has broken down at your home, or in a caravan park, our mobile service means we come to you. Call us today! We have a fine track record of getting caravans back on the road in a comprehensive and efficient nature that will not break the bank.